I don’t have kids. Neither am I a woman, but I do have sisters and cousins who do. From them being pregnant and subsequently giving birth, breast pumping is a necessary routine. Often, they have to excuse themselves to breast pump and if they were in nearby room, you can hear the whirling sound of the machine working hard. Them excusing themselves and the machine making a ding does not belong to this high-work world we live in. This is where British brand Elvie wants to make the difference. The company has developed Elvie Pump. Elvie Pump is not just any breast pump, btw; it is a wearable breast pump. Yes, it is designed to be wearable and it fits into a standard nursing bra, thereby offering a true hands-free pumping and thus, affording its users to go on with their daily routine. Moreover, it is completely silent, so moms can confidently pump with complete discretion even when they are at their desks in the office. She could be down the aisle picking up groceries too, or even breastfeeding the kid as the pump works. Now, that’s one heck of tech. It has been a while since we are this thrilled by a new development even if it has pretty much nothing to do with me on the personal level. Elvie wearable breast pump is completely wirelessly and it is connected too. With a free smartphone app, it allows moms to view real time milk volume and even track their pumping history for each breast. Using proprietary technology, Elvie Pump can detect the amount of milk in the bottle and automatically pause the process when it is full. Furthermore, moms will be able to control the pump right from their phone, so there’s absolutely no need mess with buttons on the pump while it is inside their bra. Though, Elvie Pump works just fine without the app. Other key features include a single-user, closed system electric pump, dishwasher and microwave-safe 5 oz. 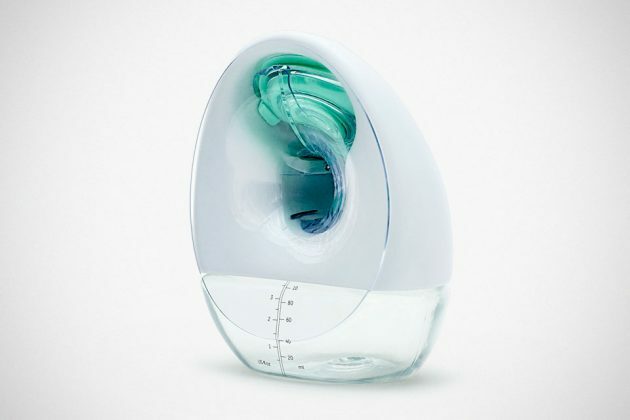 reusable BPA-free bottles, stimulation and expression modes, seven level of intensity settings, a built-in chargeable battery, and each machine comes with two sizes of breast shield. 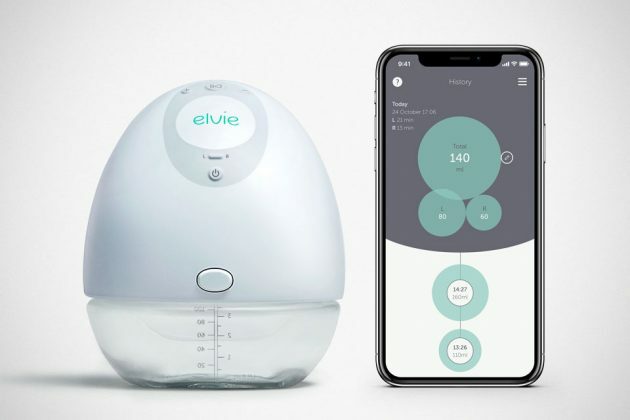 Elvie Wearable Breast Pump is set to be available online on Elvie website and Amazon, as well as in select brick and mortar stores in the U.S. later this year pending FDA approval. When it becomes available, it will retail for $479 for a double unit.